Joseph Nye, born January 19, 1937, is an American political scientist. He is the co-founder, along with Robert Keohane, of the international relations theory of neoliberalism, developed in their 1977 book Power and Interdependence. Together with Keohane, he developed the concepts of asymmetrical and complex interdependence. They also explored transnational relations and world politics in an edited volume in the 1970s. More recently, he explained the distinction between hard power and soft power, and pioneered the theory of soft power. His notion of “smart power” (“the ability to combine hard and soft power into a successful strategy”) became popular with the use of this phrase by members of the Clinton Administration, and more recently the Obama Administration. Nye is the former Dean of the John F. Kennedy School of Government at Harvard University where he currently holds the position of University Distinguished Service Professor. In October 2014, Secretary of State John Kerry appointed Nye to the Foreign Affairs Policy Board. He is also a member of the Defense Policy Board. 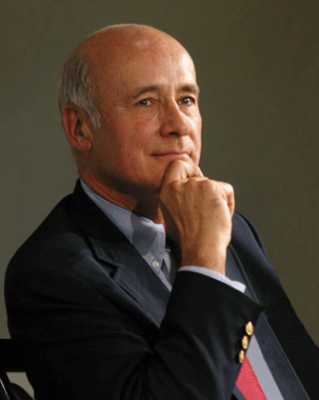 The 2011 TRIP survey of over 1,700 international relations scholars ranks Joe Nye as the sixth most influential scholar in the field of international relations in the past twenty years. He was also ranked as most influential in American foreign policy. In 2011, Foreign Policy magazine named him to its list of Top Global Thinkers. A member of the editorial boards of Foreign Policyand International Security magazines, he is the author of numerous books and more than a hundred and fifty articles in professional journals. His most recent books are “Soft Power: The Means to Success in World Politics” (2004), and an edited volume, “For the People: Can We Fix Public Service?” (2003). In addition, he has published policy articles in The New York Times, The Washington Post, The International Herald Tribune, The Wall Street Journal, and The Financial Times. He has appeared on programs such as ABC’s Nightline and Good Morning America, CNN’s Larry King Live, CBS’s Evening News, and The PBS News Hour with Jim Lehrer, as well as Australian, British, French, Swiss, Japanese, and Korean television. As one of the most influential scholars, according to international relations scholars and policymakers, Joseph Nye was honored as the Distinguished Global Citizenship Educator by the Boston Global Forum and the Michael Dukakis Institute on September 9, 2017 at Harvard University.